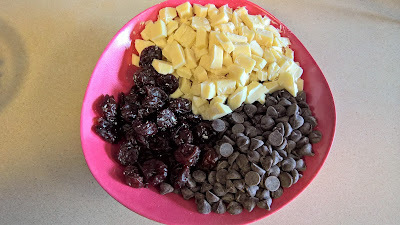 It begins with dark chocolate. 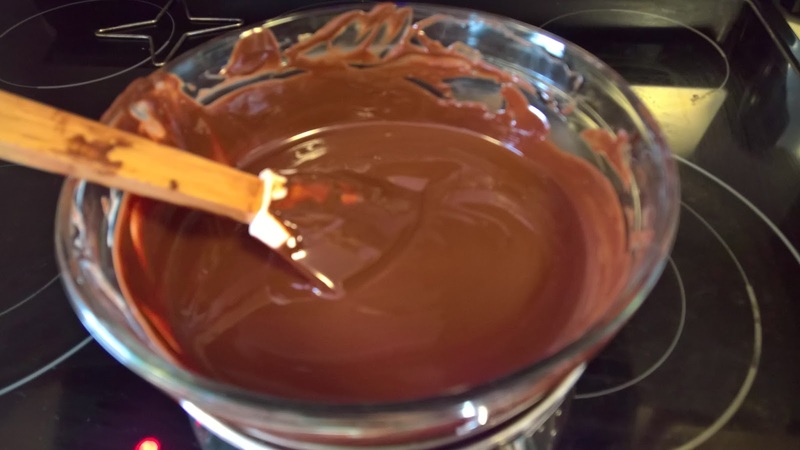 Lots of melted dark chocolate. More chocolate coming up. Semisweet chocolate and white chocolate go into these cookies too. And if that isn't enough, I'll throw a cherry on the top (well, into the mix). Dried cherries that is. I did a test batch. 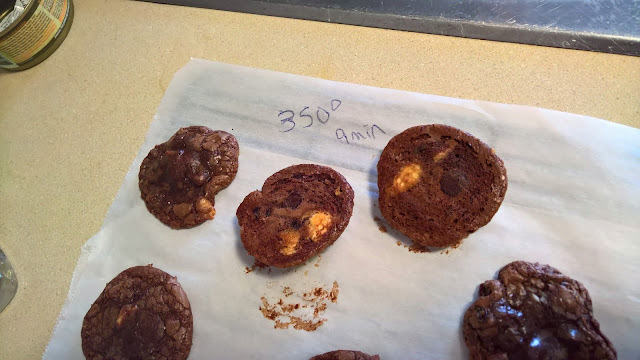 Was a little nervous about a 375 degree oven for these chocolate cookies. I thought I was watching them closely enough, but my bottoms got a little burnt. I was afraid that would happen. My next batch, I baked at 350 degrees for 9 minutes. Those turned out nicely. 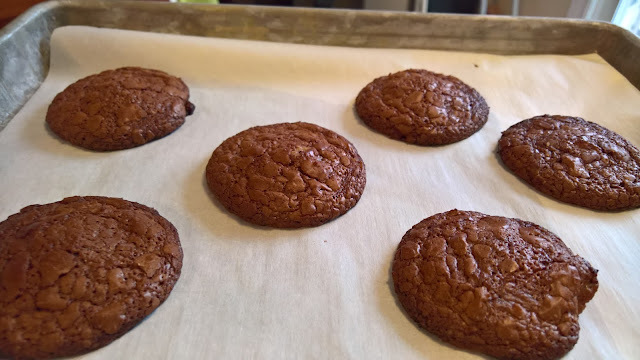 The bottoms were perfectly coloured and the cookie had a gooey middle. 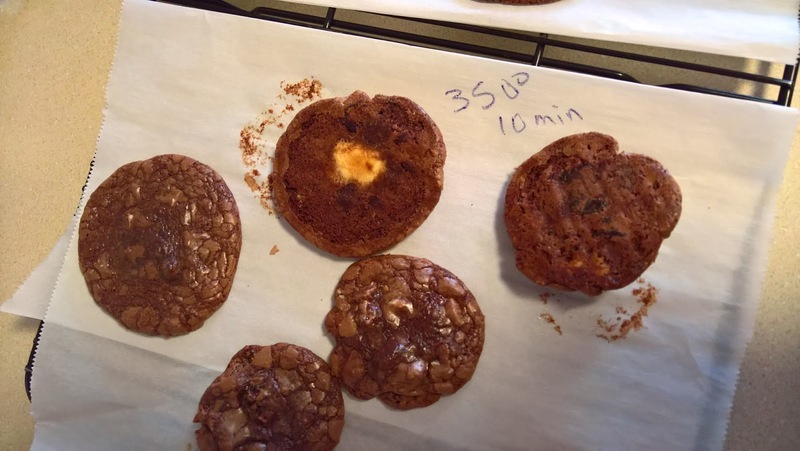 Just a little less gooey than the 9 minute batch. And the bottoms are still nicely browned. These are a nice cookie for chocolate lovers. I now want a Black Forest Cake though! 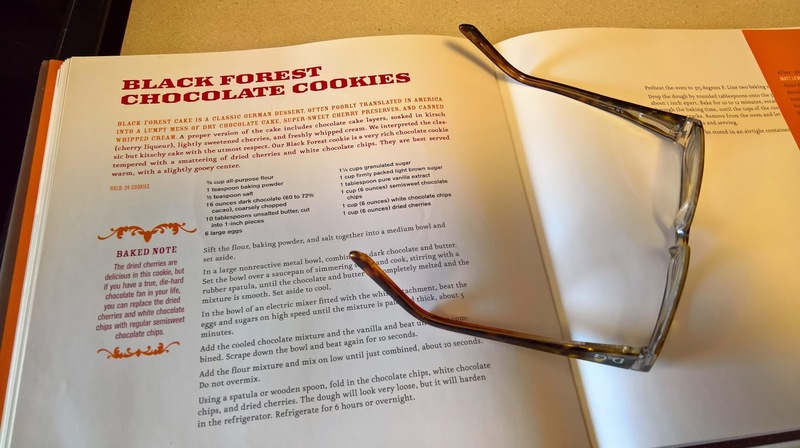 For the recipe and to see how everyone else liked these cookies, head over to Baked Sunday Mornings. The rest of the cookie dough is going in the freezer. It has been portioned out and will be there for us when that monster (chocolate) craving hits.